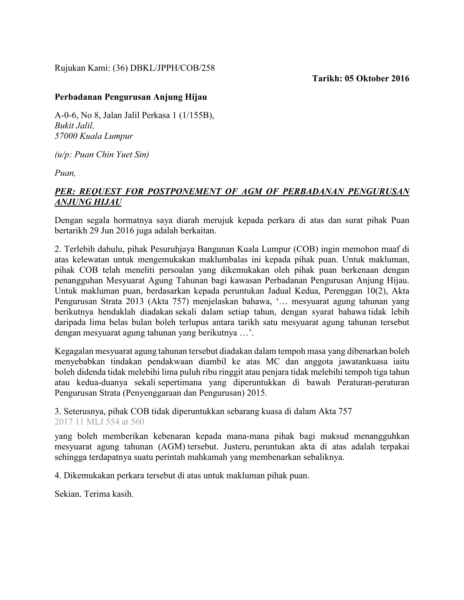 Can a developer/ JMB/ MC apply for an extension of time to convene the annual general meeting? 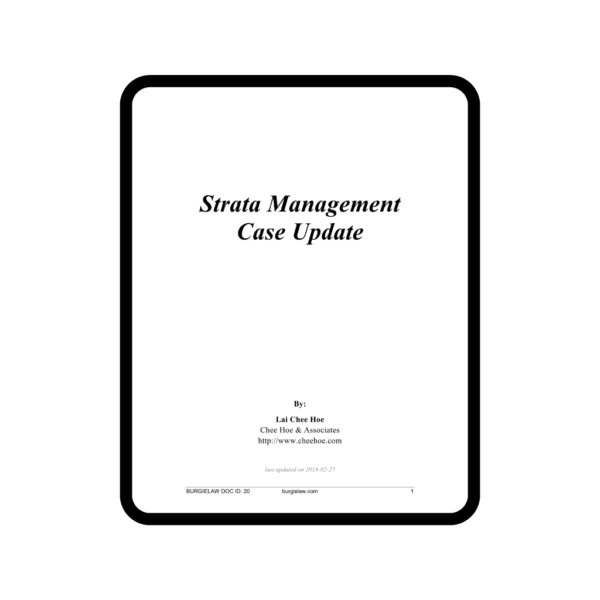 Since I am involved in both operational and dispute on strata management, issues, I now share summaries of some of the cases I have handled and the recent Malaysian court decisions in interpreting the provisions in Strata Management Act 2013, Strata Management (maintenance & management) Regulations 2015 and Strata Management (Strata Management Tribunal) Regulations 2015. 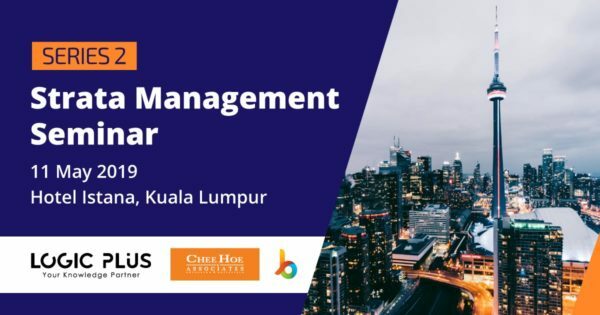 The plaintiff was the management corporation known as ‘Anjung Hijau Apartment’. 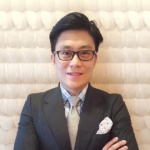 The rival faction of the owners of units of the apartment had filed several suits against the plaintiff. 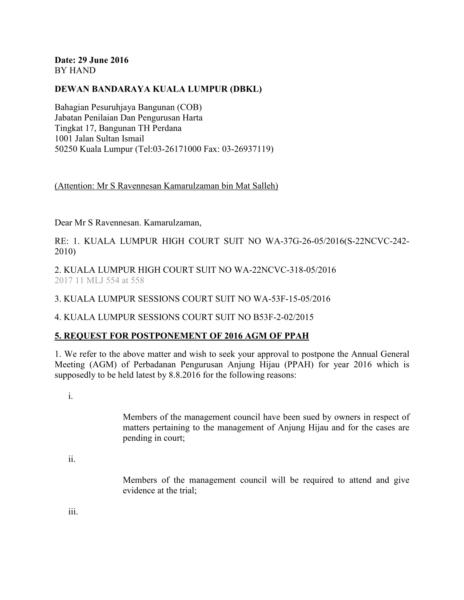 On this basis, the plaintiff sent a letter to the defendant and requested for an adjournment of the holding of the annual general meeting (‘AGM’). 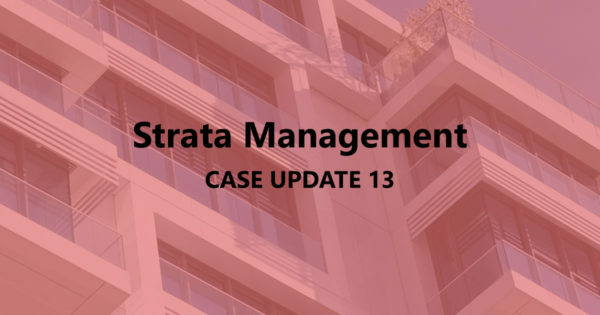 The issue in dispute was whether the court had power under S 1(7) of the Strata Management Act 2013 (‘the Act’) read together with para 8 of the Schedule of the Courts of Judicature Act 1964 (‘the CJA’), to extend time and postpone the holding of a management corporation’s AGM which by virtue of para 10(2) of the Second Schedule of the Act, must be held by a specific date. 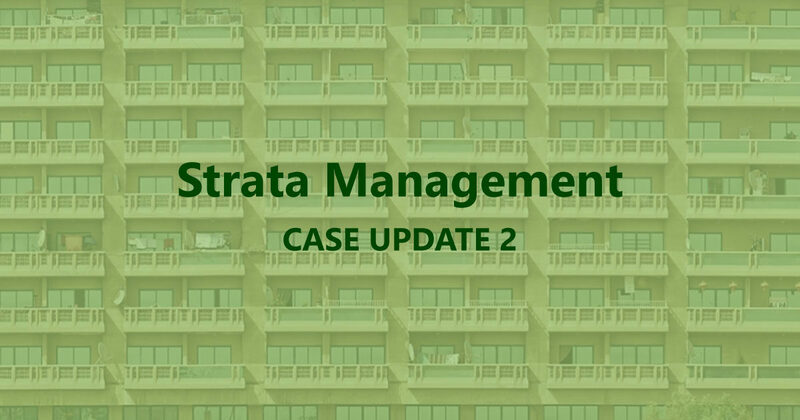 The Court ruled that paragraph 10(2) Second Schedule of the Strata Management Act 2013 was not mandatory. Even if it is mandatory, the Court has jurisdiction under paragraph 8 of the Schedule of the Courts of Judicature Act 1964 to extend time. The Court also ruled that the stand taken by the COB that they had no power to adjourn the AGM was plainly wrong. 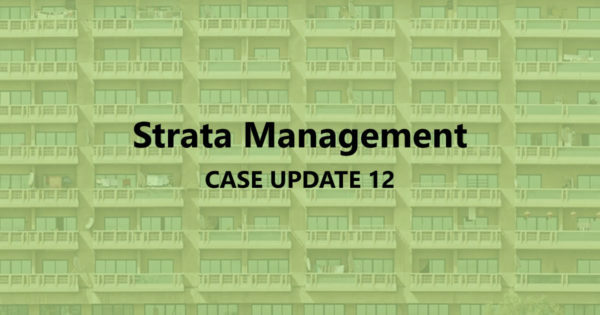 The Court referred to Section 4(1) and 1(7) of the Strata Management Act 2013 and finds that the COB has the jurisdiction to do so. If the COB refuses to grant an adjournment, the JMB or MC is entitled to file an originating summons in court for an adjournment.